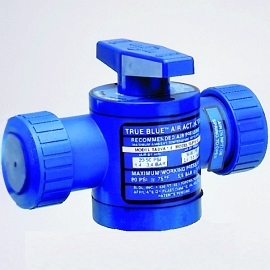 Air Actuators – Plast-O-Matic Valves, Inc. Corrosion resistant Air x Air and Fail-Safe Air x Spring Actuators available for field retrofit of Plast-O-Matic manual ball valves. Most available with optional Limit Stops, Limit Switches, or Stop and Switch combination. Electro Pneumatic Positioner also available for most models. All Descriptions 2-Way Air x Air Actuator w/ Manual Override 3-Way Air x Air Actuator w/Manual Override Air x Spring Add-On Kit (for 2-way) Air x Spring Add-On Kit for 3-way Limit Switch for Air Actuators Limit Stop for Air x Air Add-On Kit Limit Stop for Air x Spring Add-On Kit Air x Spring Add-On Kit (for 3-way) Limit Switch Add-On Kit Air x Air Actuator w/Limit Stop (for 2-way) Air x Air Actuator w/Limit Stop (for 3-way) Air x Air Actuator w/Limit Switch (for 2-way) Air x Air Actuator w/Limit Switch (for 3-way) Air X Air Actuator w/ Limit Switch & Limit Stop (for 2-way) Air X Air Actuator w/ Limit Switch & Limit Stop (for 3-way) Air x Spring Actuator (2-way) Air x Spring Actuator (3-way) Air x Spring Actuator /w Manual Override (2-way) Air x Spring Actuator /w Manual Override (3-way) Air x Spring Actuator /w Limit Stop (2-way) Air x Spring Actuator /w Limit Stop (3-way) Air x Spring Actuator /w Limit Switch (2-way) Air x Spring Actuator /w Limit Switch (3-way) Air x Spring Actuator /w Limit Switch & Limit Stop (2-way) Air x Spring Actuator /w Limit Switch & Limit Stop (3-way) All Process Connection Sizes 1/2" 3/4" & 1" 1- 1/4", 1- 1/2" & 2"